Do you want to create a MORE PRESENT, RICH AND MEANINGFUL LIFE? JOIN an 8-week mindfulness course to create the DESIRED CHANGE! During this mindfulness based course we will practise tools & techniques, which enable you to become more aware of yourself, your emotions and thought patterns and increase the resilience in challenging situations. ♦ to be in “here & now”, improve concentration and re-focusing skills as well as notice and enjoy the richness of life, moment by moment. ♦ to respond to difficult emotions, thoughts, obstacles and unpredictable situations skillfully, rather than to be “hooked” by them and merely react. ♦ to make conscious choices for improving your relationships, nourishing and supporting yourself and balancing your life. ♦ increased well-being and resilience, improved concentration, productivity and creativity. More effective collaboration, more skillful response to difficult emotions, thoughts, obstacles and unpredictable situations. Additionally, work-related performance is supported by further changes in other life areas, such as better sleep quality, increased ability to relax and improved relationships. The course will run over 8 weeks, which helps to integrate new knowledge, skills, habits and attitudes. In order to acquire every new skill, continuous practice is required, so it is important that the participant commits to home practice for at least 20 minutes a day during the course. Everyday practice is conveniently supported by audio files and written materials. 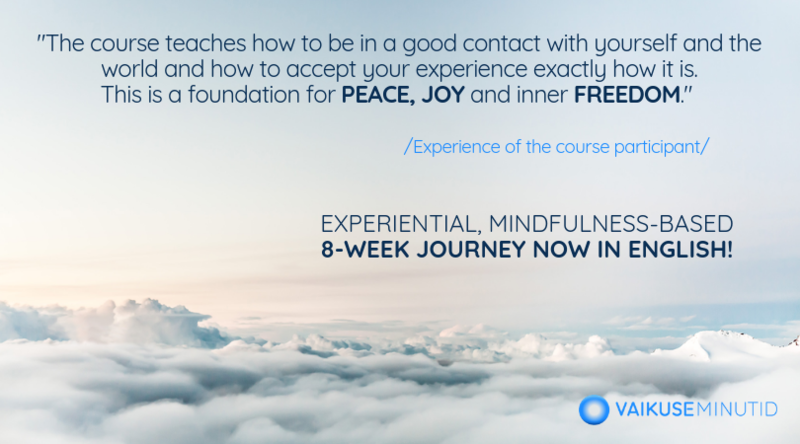 The 8-week mindfulness course by Vaikuseminutid (Minutes of Stillness) is based on mindfulness programs MBSR and MBCT, the Art of Conscious Change courses and experiences of Vaikuseminutid. ♦ Session times: on Thursdays, March 7 – April 25, at 18:00 – 20:00. ♦ Price: 288 €. Special price for private persons is 240€ (prices incl. VAT). The price includes: 8 group based sessions in supportive, experiential environment, the book “Mindfulness: A Practical Guide to Finding Peace in a Frantic World“, course materials, in-between sessions support, completion certificate (prerequisite is the participation in at least 6 sessions). Malle’s passion is to support people and organizations in creating conscious, motivated and values-based mindset, relationships and working environment. Malle has been a trainer in corporate environment for 8 years. Her trainings are activating and experiential, with the aim to deeply understand and form skills. 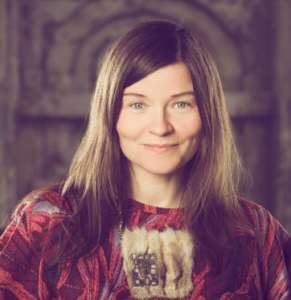 Malle has practiced meditation and yoga for 20+ years and since 2016 she is delivering mindfulness trainings at Vaikuseminutid. As mindfulness trainer and coach she is happy to see other people discovering the gentle power of mindfulness skills as a source of inner joy, piece and connection as well as efficiency.